CRAPTASTIC: Five Feature Friday #8! I'm a little late this week, but I won't disappoint! Priss This! shows us how to easily paint a birch tree background! I love how these birch tree walls look, but don't want to spend the cash on a stencil or wallpaper! This way is easy, and affordable!! Junk In the Trunk made a FABULOUS farmhouse dining table!! It is modeled after the Pottery Barn version that I DROOL over every time I see - wanna come make one for me next?! Miss Madison's Charmed Life made this awesome jewelry holder! Don't let the picture deceive you, this is a ginormous jewelry holder! The colors are just so fun together!! 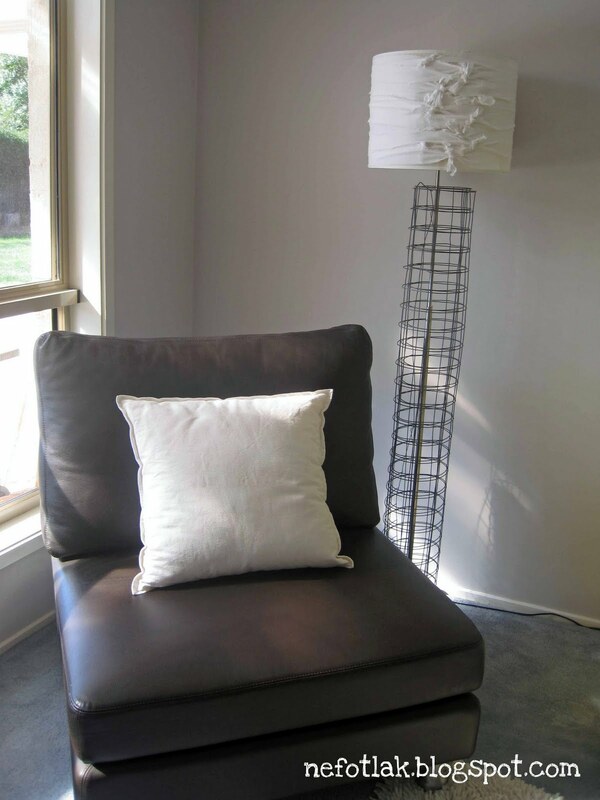 Nefotlak made over this floor lamp - you have GOT to hop over and see the close up of the lamp shade! This is giving me a lot of ideas for my living room floor lamp! Lovely job!! Just Watching My Garden Grow shared these amazing family photos! 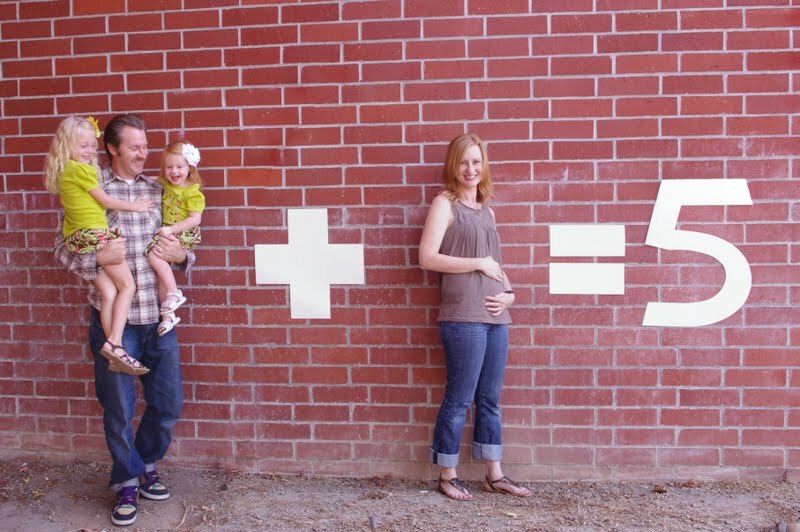 I think this photo idea would be perfect for a baby announcement! One day I may have to use this idea! Congrats on becoming a family of five!! Thanks so much for featuring my DIY Painted Birch Tree Wall Mural, Katie! I love your blog! You're welcome Michelle!! Thanks for sharing your adorable photos!! thanks so much for the feature - super appreciate it!! i've tried to add your button into my featured tab - but it keeps losing the image once it's published!?!?!?! Great features - some that I've missed! Thanks so much for sharing, Katie! i love those birch trees! great choices this week... everytime i see your five feature friday i wanna start new projects, but i must restrain myself! my plate is already full.